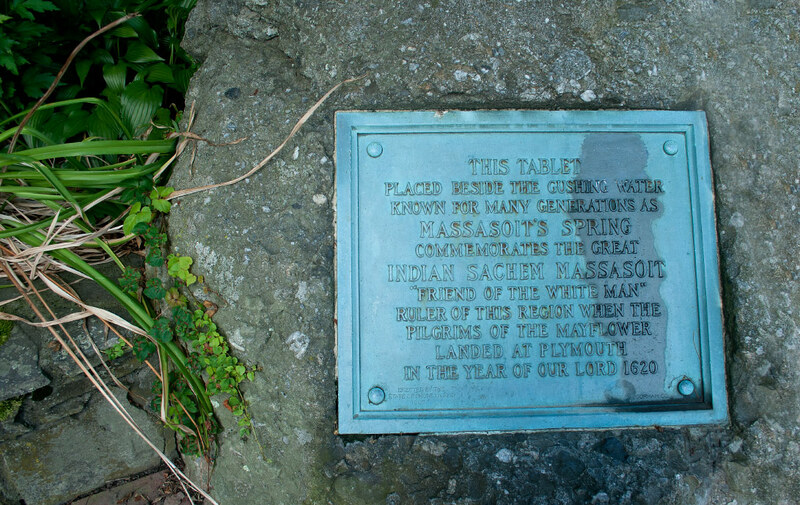 A freshwater spring known through local tradition as being in close proximity to where Massasoit, ruler of the Wampanoags, resided. It was Massasoit who signed a treaty of peace with the Pilgrims, which was never violated during his lifetime. He died in 1660. Early Victorian Gothic structure designed by Russel Warren; built for the Warren Artillery Co. at the end of Dorr’s Rebellion in 1842. 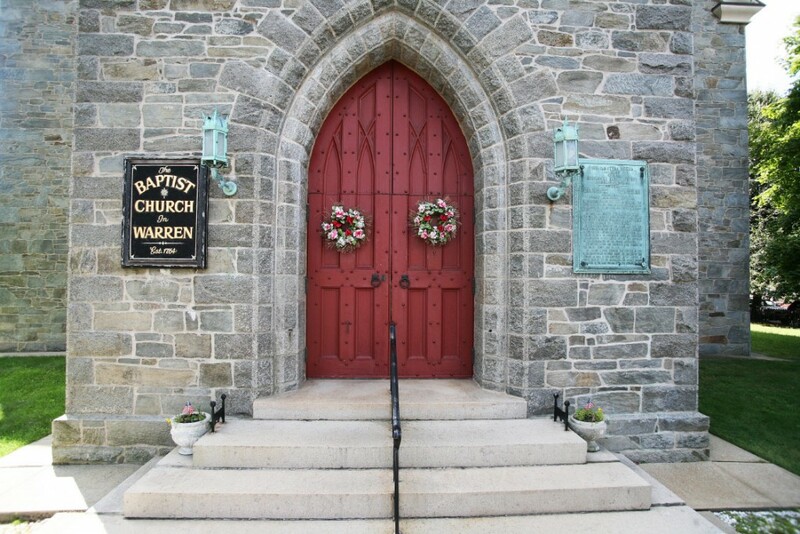 As the cultural center of Warren in the 19th century, it is now undergoing restoration while available to rent for civic and social events. This two-story gable roof with an Early Victorian-Gothic structure was designed by Russell Warren. Brown University, originally called Rhode Island College, held its first classes on this site in 1769 before moving to Providence. 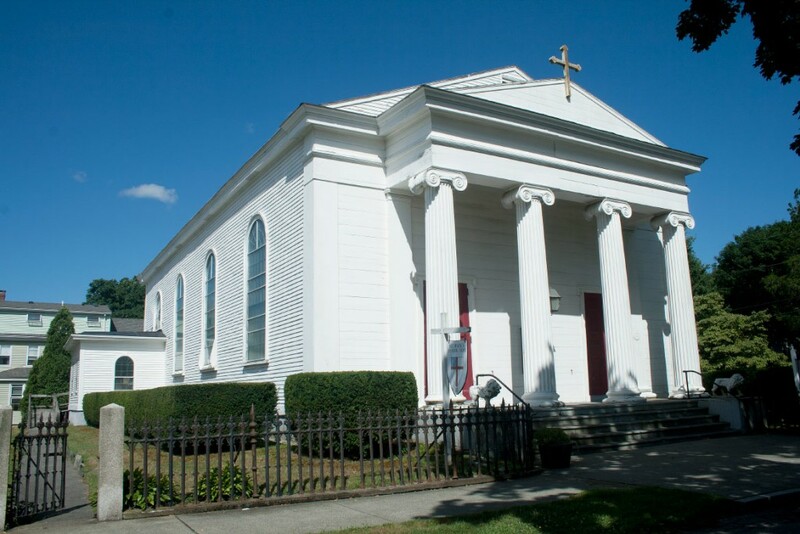 Listed on the National Register of Historic Places, the Greek Revival church with a tetrastyle Doric portico and prominent 130′ 5-stage spire is one of the earliest Methodist churches in New England. 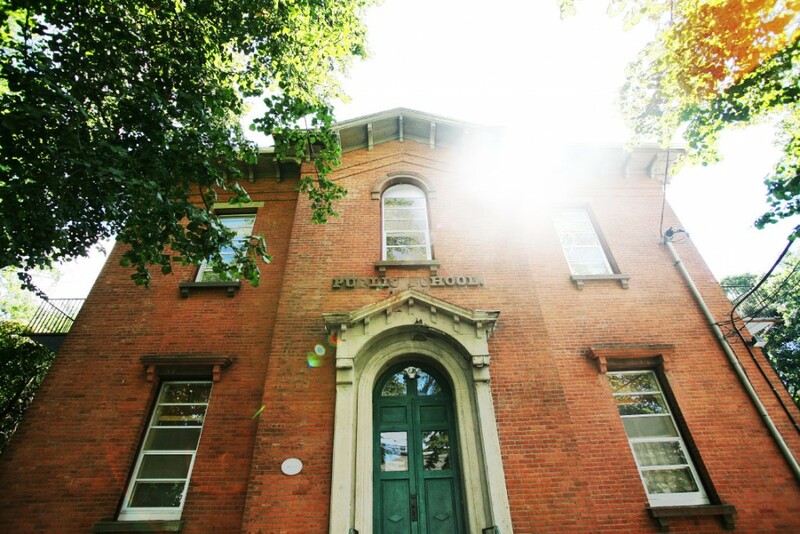 This handsome Early Victorian brick structure with Itailianate detail was designed by Providence architect Thomas A. Tefft. 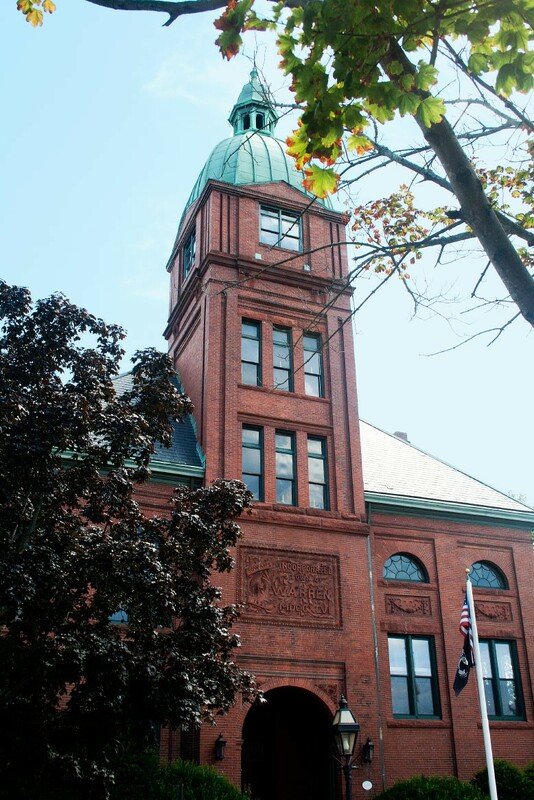 It was dedicated in 1848 as the town’s first public high school and is the third oldest high school in Rhode Island. Warren’s 2nd Story Theatre purchased the building in 2013, and it currently serves as their rehearsal space and set workshop. 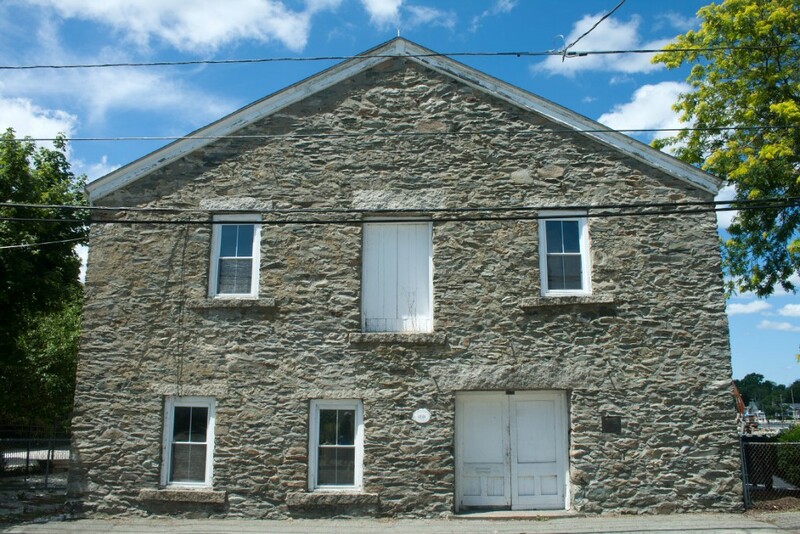 Two-story gable roofed structure built of rough rubble stone during the Greek Revival era. Constructed for blacksmith Francis Marble who used the lower floor as a shop and ambitiously the second floor as a social hall for public and private functions. Classic Federal style exterior detailing, was partially built from beams of a British ship sunk in Newport Harbor salvaged by Sylvester Child. 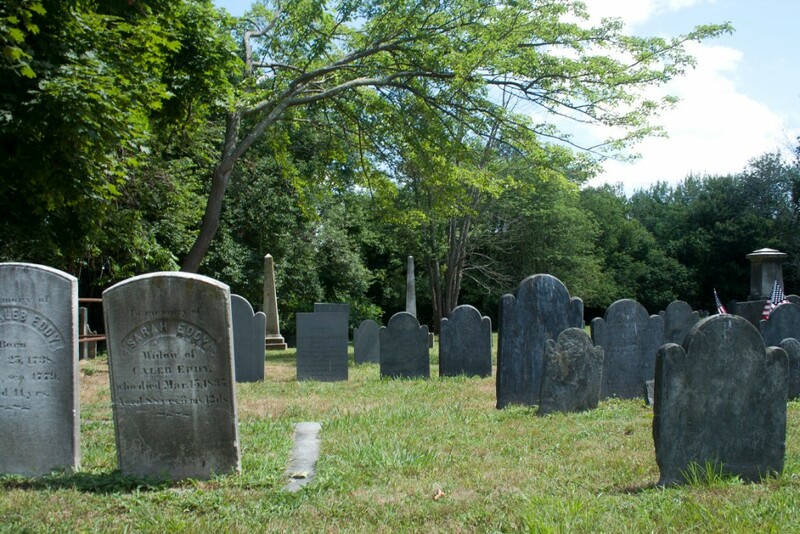 It is the oldest building in New England used as a lodge and among the finest in the U.S. of this period. 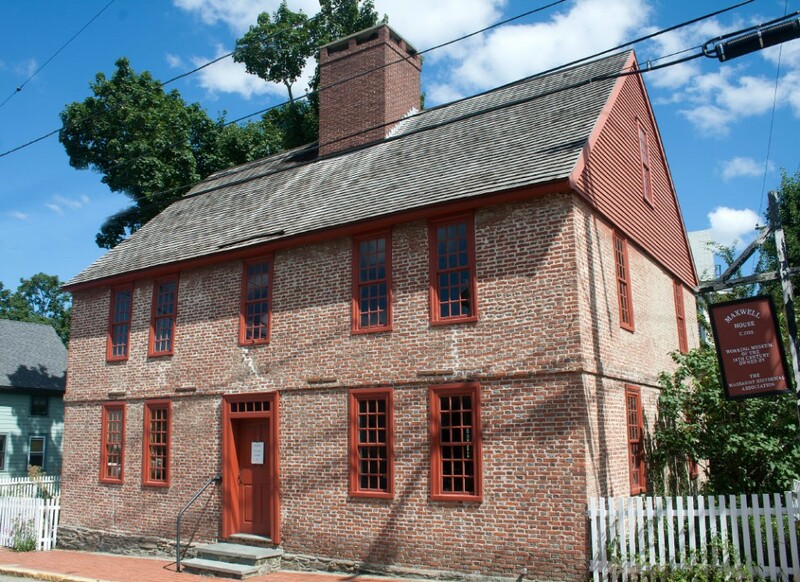 The earliest surviving house on Warren’s waterfront, distinctive for its great center chimney, steep gable and handmade bricks laid in Flemish Bond style. 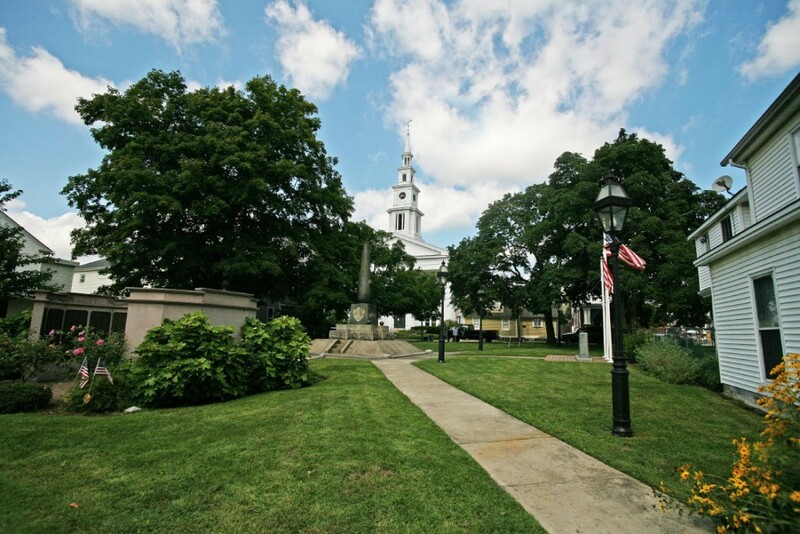 Currently a museum, the building was restored by the Massasoit Historical Association. Two-story gable roof Early Victorian structure which was home to one of the town’s earliest companies of firemen. 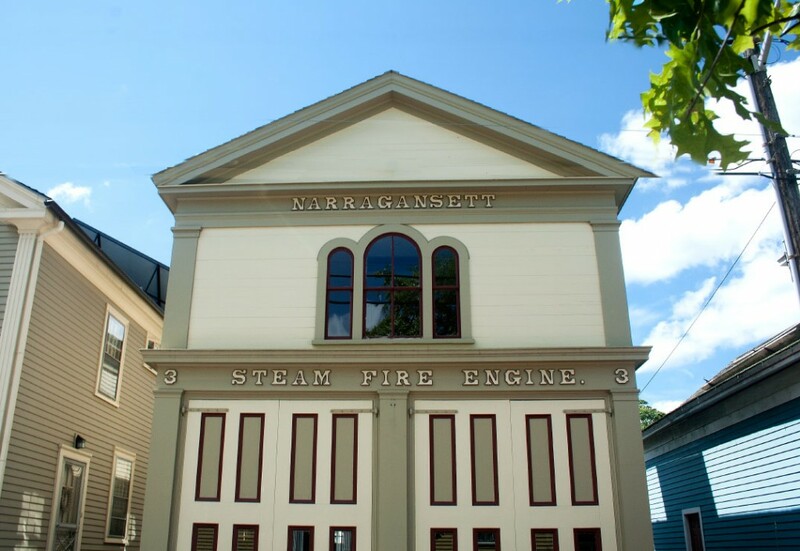 The building was restored in the mid-1970s and is now the town fire museum, housing the town’s first fire engine “Little hero” which was built in 1802.
many of the village’s oldest families are buried here, including town notables such as Nicholas Campbell, a participant in the Boston Tea Party. 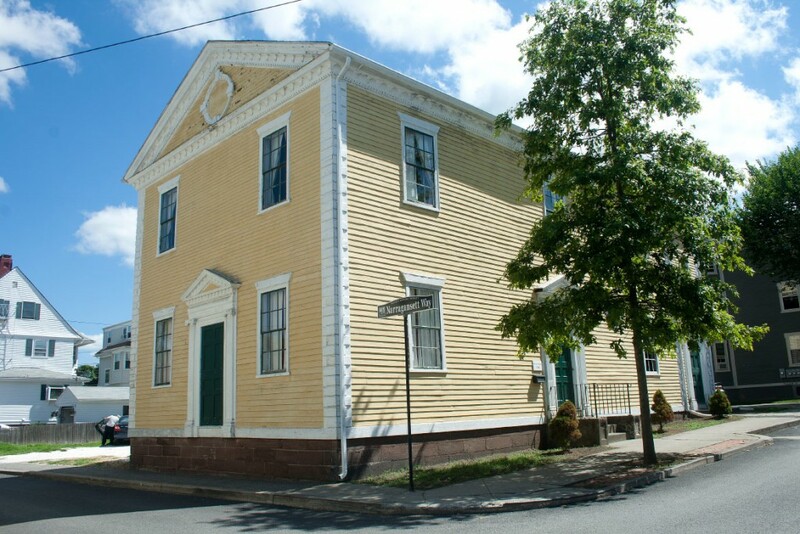 Designed by architect Russell Warren, this building represents one of Rhode Island’s earliest examples of Greek Revival style. It is especially noted for its Ionic portico and distinctive canted double doors. An early example of late Victorian eclectic architecture, combining an Italian Renaissance tower on a Federal hip-roofed structure, with Italianate compound windows. 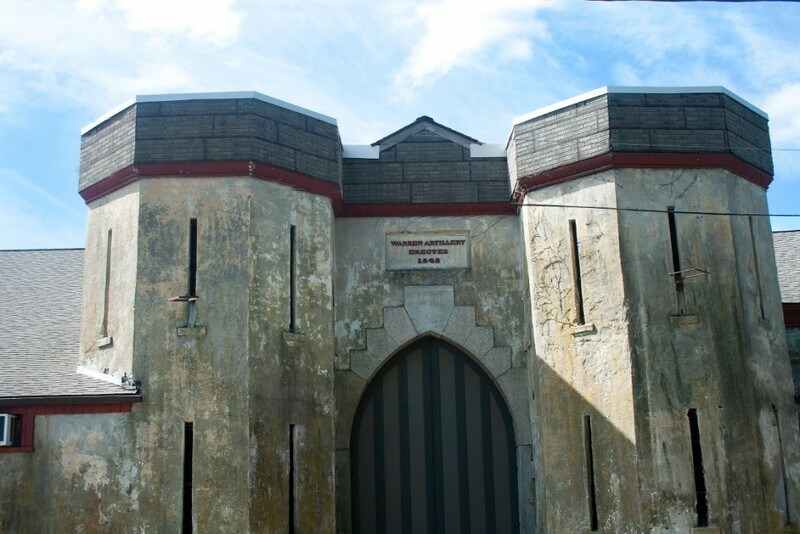 Notably, the original tower was reduced in size after damage from the Hurricane of 1938.